I was seven when my father tossed me overboard with scuba gear on my back. 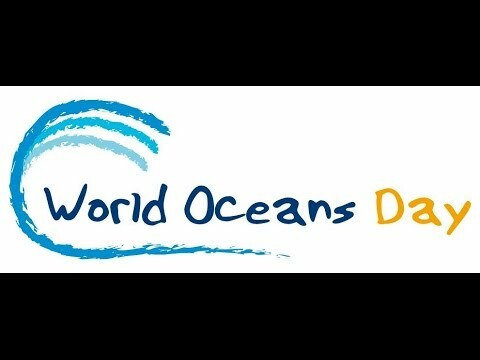 And not a day has passed since then that I haven’t explored, studied or fought for our oceans. That’s why today, on World Oceans Day, I’m partnering with NRDC to mobilize massive resistance to an imminent threat to one of the Atlantic Ocean’s most spectacular ecosystems: the Northeast Canyons and Seamounts Marine National Monument. This monument was established by President Obama last year. But now President Trump has issued an executive order that could roll back its protections and leave thousands of rare or endangered marine species — including sperm whales, dolphins, deep-water coral, sea turtles and sea birds — vulnerable once again to pollution and overfishing. Please, join me in a simple action today: Demand that Interior Secretary Ryan Zinke defend this awe-inspiring marine national monument. Trump’s executive order is an attempt to give away our most special wild places to industrial interests. It threatens these pristine canyons and seamounts as well as dozens of other national monuments that are fundamental, irreplaceable pieces of America’s natural heritage. If this monument is opened to offshore oil and gas drilling, commercial fishing, deep seabed mining and other forms of commercial exploitation, we will lose a key opportunity to slow the alarming decline of fish and other marine life in our oceans. We’ll also lose a critical “reservoir of resilience” against climate change. Every one of us depends on our oceans — and NRDC continues to be one of the most effective groups anywhere fighting to protect them. They’re working on every front to stop these reckless rollbacks — including preparing to go to court if necessary. But before it comes to that, we must raise our voices together to protect the Northeast Canyons and Seamounts Marine National Monument and all of our threatened ocean waters, while we still have the chance. Please stand with me and send a message to Secretary Zinke today — for our marine life, for our climate and for generations to come.